This week's charts, with data taken from October 7th, 2010, find NBA 2K11 heading multiplatform sales in North America, as FIFA 11 and Formula 1 2010 lead this week's sales rankings in the UK. North America: 1. NBA 2K11 (2K Sports, PS3), 2. NBA 2K11 (2K Sports, X360), 3. Halo: Reach (Microsoft, X360), 4. PlayStation Move Starter Bundle (SCEA, PS3), 5. DIRT 2 (Codemasters, X360). Japan: 1. Pocket Monsters White (Nintendo, DS), 2. Pocket Monsters Black (Nintendo, DS), 3. Gekijouban Macross F: Itsuwarino Utahime (Bandai Namco, PS3), 4. Kingdom Hearts Re:coded (Square Enix, DS), 5. Red Dead Redemption (Rockstar, PS3). UK: 1. FIFA 11 (EA Sports, PS3), 2. FIFA 11 (EA Sports, X360), 3. PlayStation Move Starter Pack (SCEE, PS3), 4. Formula 1 2010 (Codemasters, PS3), 5. Formula 1 2010 (Codemasters, X360). 2K's basketball franchise update NBA 2K11 leads over former chart champion Halo: Reach as this week's biggest-selling software title across all platforms in the United States. The PlayStation Move Starter Bundle remains a strong seller at fourth place, as a recent Amazon sale puts Codemasters' racer DIRT 2 at fifth in today's results. Pocket Monsters White/ Black head Japan's cross-platform sales charts for the third week running, as FIFA 11 continues to top the charts in the UK after an impressive debut last week. North America: 1. Just Dance (Ubisoft), 2. New Super Mario Bros. Wii (Nintendo), 3. Wii Fit Plus with Balance Board (Nintendo), 4. Muramasa: The Demon Blade (Ignition), 5. Super Mario Galaxy 2 (Nintendo). Japan: 1. Wii Party (Nintendo), 2. Wii Fit Plus with Balance Board (Nintendo), 3. New Super Mario Bros. Wii (Nintendo), 4. Super Mario Galaxy 2 (Nintendo), 5. Sengoku Basara 3 (Capcom). UK: 1. Super Mario Galaxy 2 (Nintendo), 2. Just Dance (Ubisoft), 3. FIFA 11 (EA Sports), 4. New Super Mario Bros. (Nintendo), 5. Wii Fit Plus with Balance Board (Nintendo). Ubisoft's Just Dance finishes as today's biggest-selling Wii title in the United States, as anticipation builds for next week's release of Just Dance 2. Wii Party continues to top the Japanese charts, while FIFA 11 competes with Super Mario Galaxy 2 and Just Dance in the UK. North America: 1. NBA 2K11 (2K Sports), 2. Halo: Reach (Microsoft), 3. DIRT 2 (Codemasters), 4. Mass Effect 2 (EA Games), 5. FIFA Soccer 11 (EA Sports). Japan: 1. Red Dead Redemption (Rockstar), 2. Dead Rising 2 (Capcom), 3. Formula 1 2010 (Codemasters), 4. Tom Clancy's H.A.W.X. 2 (Ubisoft), 5. Monster Hunter Frontier Online Season 9.0 Premium Package (Capcom). UK: 1. FIFA 11 (EA Sports), 2. Formula 1 2010 (Codemasters), 3. Halo: Reach (Microsoft), 4. Forza Motorsport 3 (Microsoft), 5. Skate 3 (EA Games). NBA 2K11 overtakes Halo: Reach in today's domestic sales charts at Amazon, while Mass Effect 2 returns to the top five to lead over FIFA 11. Red Dead Redemption is off to a chart-topping debut in Japan, meanwhile, as FIFA 11 and Formula 1 2010 replace Halo: Reach at the top of the charts in the UK. North America: 1. NBA 2K11 (2K Sports), 2. PlayStation Move Starter Bundle (SCEA), 3. FIFA Soccer 11 (EA Sports), 4. Castlevania: Lords of Shadow (Konami), 5. Madden NFL 11 (EA Sports). Japan: 1. Gekijouban Macross F: Itsuwarino Utahime (Bandai Namco), 2. Red Dead Redemption (Rockstar), 3. Dead Rising 2 (Capcom), 4. Formula 1 2010 (Codemasters), 5. Ken to Mahou to Gakuen Mono. 3 (Acquire). UK: 1. FIFA 11 (EA Sports), 2. PlayStation Move Starter Pack (SCEE), 3. Formula 1 2010 (Codemasters), 4. 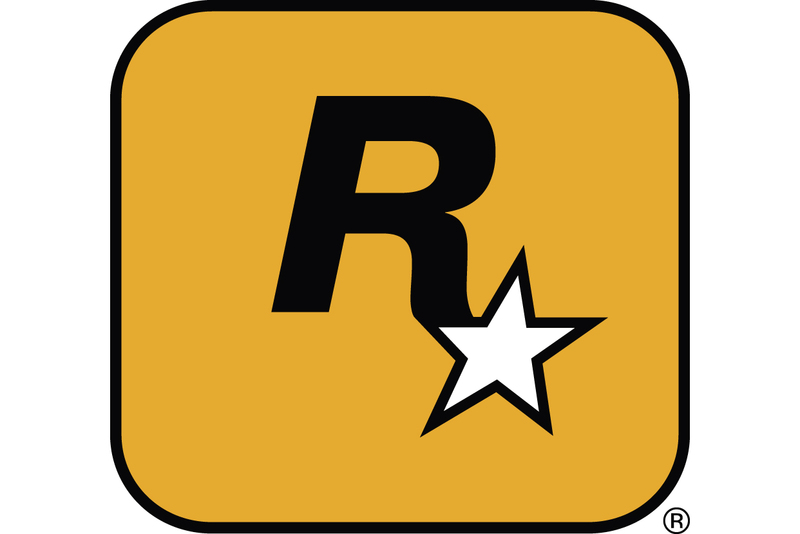 Red Dead Redemption (Rockstar), 5. Castlevania: Lords of Shadow (Konami). As NBA 2K11 and the PlayStation Move accessory bundle lead U.S. PlayStation 3 software sales, Konami's Castlevania: Lords of Shadow sees a modest debut at fourth place. Castlevania also edges into chart range in its premiere week in the UK, as Bandai Namco's Gekijouban Macross F: Itsuwarino Utahime and a localization of Rockstar's Red Dead Redemption head the charts in Japan. North America: 1. Sid Meier's Civilization V (2K Games), 2. Starcraft II: Wings of Liberty (Blizzard), 3. The Lord of the Rings Online: Mines of Moria (Turbine), 4. World of Warcraft: Wrath of the Lich King (Blizzard), 5. NBA 2K11 (2K Sports). Japan: 1. Final Fantasy XIV (Square Enix), 2. Monster Hunter Frontier Online Season 9.0 Premium Package - Collector's Edition (Capcom), 3. Daikoukai Jidai Online: El Oriente Treasure Pack - Ryuu no Daichi (Koei), 4. Monster Hunter Frontier Online Season 9.0 Premium Package (Capcom), 5. Steins;Gate (Nitro+). UK: 1. Sid Meier's Civilization V (2K Games), 2. The Sims 3: Ambitions (EA Games), 3. Starcraft II: Wings of Liberty (Blizzard), 4. The Sims 3 (EA Games), 5. FIFA 11 (EA Sports). Civilization V and Starcraft II once again dominate PC sales in the United States this week, as demand for Final Fantasy XIV falls sharply in favor of renewed interest for the Mines of Moria expansion pack for Turbine's now free-to-play The Lord of the Rings Online. Final Fantasy XIV sees better fortunes in Japan, where it overtakes Capcom's Monster Hunter Frontier Online as this week's top regional seller. North America: 1. Professor Layton and the Unwound Future (Nintendo), 2. New Super Mario Bros. (Nintendo), 3. Pokemon Ranger: Guardian Signs (Nintendo), 4. Final Fantasy: The 4 Heroes of Light (Square Enix), 5. Mario Kart DS (Nintendo). Japan: 1. Pocket Monsters White (Nintendo), 2. Pocket Monsters Black (Nintendo), 3. Kingdom Hearts Re:coded (Square Enix), 4. Okamiden: Chisaki Taiyou (Capcom), 5. Tokimeki Memorial Girl's Side 3rd Story (Konami). UK: 1. Jam with the Band (Nintendo), 2. New Super Mario Bros. (Nintendo), 3. Toy Story 3 (Disney), 4. Art Academy (Nintendo), 5. Junior Brain Trainer DS (Avanquest). Pokemon Ranger: Guardian Signs and Final Fantasy: The 4 Heroes of Light see a successful debut week in North America, competing against reigning sales leaders Professor Layton and the Unwound Future and New Super Mario Bros in today's charts. Square Enix's just-released Kingdom Hearts Re:coded joins Pocket Monsters Black/ White at the top of the Japanese charts, as Nintendo's Jam with the Band continues to rack up impressive sales numbers after a steep price drop in the UK. North America: 1. Kingdom Hearts: Birth by Sleep (Square Enix), 2. Crisis Core: Final Fantasy VII (Square Enix), 3. NBA 2K11 (2K Sports), 4. Dissidia Final Fantasy (Square Enix), 5. God of War: Chains of Olympus (SCEA). Japan: 1. Eiyuu Densetsu: Zero no Kiseki (Nihon Falcom), 2. K-On! Houkago Live!! - Limited Edition (Sega), 3. K-On! Houkago Live!! (Sega), 4. Ken to Mahou to Gakuen Mono. 3 (Acquire), 5. Kurohyou: Ryu ga Gotoku Shinshou (Sega). UK: 1. FIFA 11 (EA Sports), 2. Kingdom Hearts: Birth by Sleep - Limited Edition (Square Enix), 3. Kingdom Hearts: Birth by Sleep (Square Enix), 4. FIFA 10 (EA Sports), 5. Star Wars Battlefront: Elite Squadron (LucasArts). After more than a month since its initial release, Square Enix's Kingdom Hearts: Birth by Sleep remains the PSP's fastest-selling title in North America, as the company's Crisis Core: Final Fantasy VII and Dissidia Final Fantasy maintain consistent sales from week to week. Eiyuu Densetsu: Zero no Kiseki spends its second week at the top in Japan, as FIFA 11 once again outsells the competition in the UK.